Even if you know nothing about hip-hop, you’re probably aware Wiz Khalifa likes weed. The rapper/actor/Amber Rose baby daddy/human blunt has long been a very vocal consumer of the sticky icky. He writes songs about it, has a mobile game about it, gives talks about its medical benefits, and allegedly shells $10,000 a month on it. And now, you can add another endeavour to that ever-budding list: conquering Canada’s cannabis market. 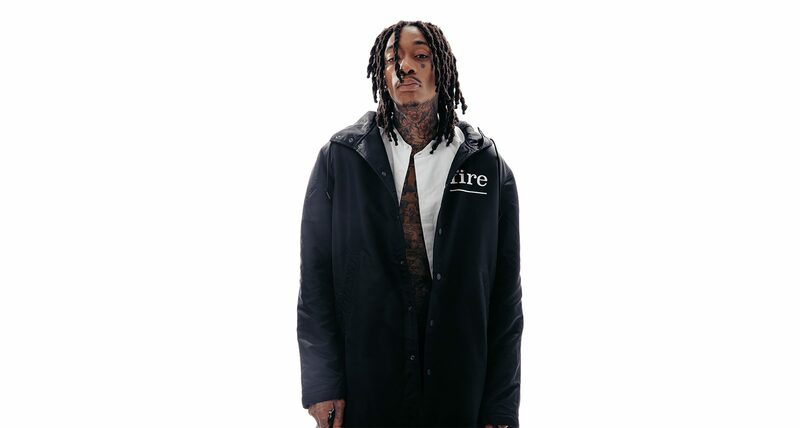 We recently caught up with Khalifa (over email, presumably because his cotton mouth was too severe that day to speak over the phone) to chat about his blazing habits, empire-building, and the pot-ential he sees in the dank new world of Canadian weed. What made you want to enter the Canadian cannabis market? Federal legalization is huge. I have been coming to Canada for a long time and have tons of friends up here. It’s the perfect time to bring Khalifa Kush to a 100% legal market. What attracted you to Supreme? Why’d you choose to work with them, out of all the cannabis companies out there? Supreme has an amazing understanding of the culture and quality cannabis. Right now their weed is the best in the market. When we team our genetics with their quality control, there’s no stopping us. How much weed do you smoke in a day? In a month? What do you look for in a weed strain? With Khalifa Kush, we focus on smell, look, taste. It has to be gassy, has to be frosty, has to taste outstanding, and has to make you feel great. What do you use weed for these days? Do you have a personal ritual when smoking weed? No, not really. It’s a huge part of my life, that’s kind of the ritual. I’ve been using your Wiz Khalifa RAW Loud Pack papers for a long time. Do you always smoke with a filter? Really depends on who I am smoking with hahaha I go back and forth. How does weed affect your creativity? I think it allows you to open up and be more comfortable with who you are and express that more freely. Do you ever get anxiety from smoking weed? What do you think about weed culture in Canada? Is there something about our weed strains, or consumption methods, that’s different than the U.S.? Since I have been coming up to Canada, they have always had okay product and heavy smokers, but I do think they’re being underserved. That’s why I’m so excited to bring Khalifa Kush – true gas – to the Canadian legal market. I read that the idea for Kush and Orange Juice began in Toronto. How did that come about? I was up in Toronto in 2008 working with some of my friends. I had my laptop and my partna said, “Man your laptop smells like kush and orange juice.” That’s the day it was born. What’s the secret to building an empire? Vision and hard work. If you have the vision and are willing to put in the work, you can do anything. Years from now, what would you like your empire to look like?